What is it? 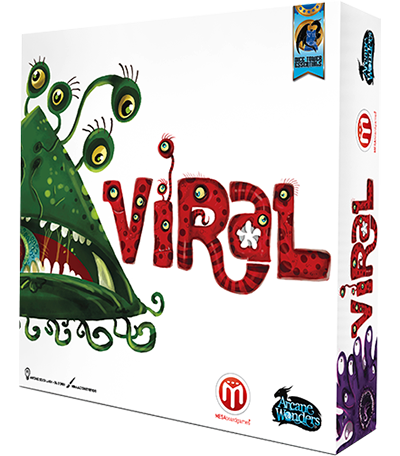 Viral has received a small degree of criticism for taking a fairly serious theme and transforming into an area control game with a whimsical touch. We put the game under the microscope, not to assess that particular claim, but rather to test whether it's actually a decent game or not. Being on the receiving end of influenza is never much fun, but what about when you're playing for the other team? My fellow children of the 80s might recall an animated series that appeared on our very limited SABC ‘bouquet’ of programing, that presented a rather charming insight into the workings of the human body. Once Upon A Time…Life, with its cheery red blood cells and blissfully innocent opening theme, this was how my 5 year old self viewed the body for quite some time. Viral takes a similar approach in imbuing the denizens of our organs with a splash of anthropomorphism, only replacing the antiquated charm of 80s tv with a far more imaginative take on pathogens. Oh, and unlike Once Upon A Time where you’re cheering for the heroic white blood cells, Viral makes the art of infection well…infectious. This year at CBQ we’re making a conscious effort to dial back on rules explanations. There are so many great Youtube channels currently which provide excellent turn-by-turn breakdowns, that our focus is aimed purely at the experience of playing the game. This of course means that we’ll provide a brief overview of the rules and perhaps a lengthier discussion when a rule warrants such, but for the most part our chief concern is to swim with the sharks in the more dangerous sea of subjectivity. As any virus worth its particles knows, it isn’t enough to simply infiltrate a healthy cell these days. Long gone are the days of simply pitching up on the back of a flea and causing half of Europe to collapse; now they have to compete with virologists and microscopes and antibiotics. Oh no, if you want to make something of yourself, mutation is the name of the game. Well, ok the name of the game is actually Viral, but you get my point. Designers Gil d’Orey and Antonio Sousa Lara happen to be the two minds behind City of Spies: Estoril 1942, a game we reviewed quite some time back and one that impressed us a great deal with its smart take on Area Control and just how much depth the game had stored in reserve. This meant it wasn’t a major surprise when we learned that Arcane Wonders had decided to partner with them for another entry into their Dice Tower Essentials range. Similarly, this also meant we weren’t particularly surprised when we discovered just how ruthless the game underneath all that charming artwork proved to be. But more on that in a bit. 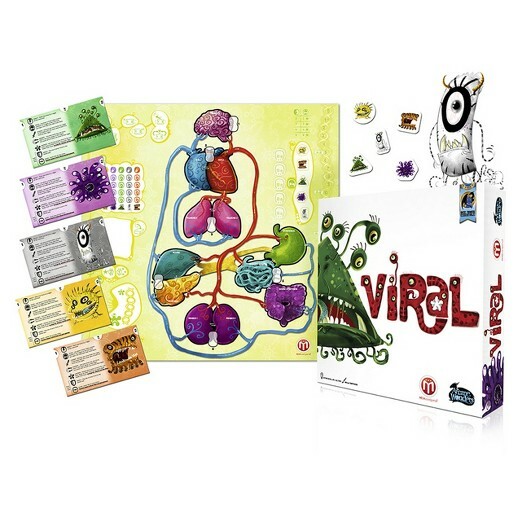 At its heart (hurrdurr let the punning begin), Viral is an area control game with elements of deck building and hand management. The action transpires on a colourful albeit likely anatomically inaccurate representation of the human body. Organs are grouped into zones (each lung though separate is one zone etc), with players attempting to deploy their unique viruses to these zones to score victory points. This is mainly achieved by players playing two sets of cards each turn, one card representing a particular mutation (a set of actions) and another the zone that action is being performed in. If the iconography has a white background, you can choose any zone, whilst blue means you have to choose the zone matching that of the zone card you’ve played. So for example, as my first set I play the brain card together with the Basic Migration card which enables me to infect the brain with one of my 8 virus tokens, and then move twice (one token twice or two tokens once each). Players reveal simultaneously and in turn order carry out their first set of cards, and follow the same process for the second set before various admin and scoring steps take place and the round ends, with the game lasting six rounds in total. The twist here is that locations cards played in a round can only be reclaimed after the next round’s Action phase, which basically means that you can’t unleash your viral masterplan onto the same organ in consecutive turns. This means you have to be acutely aware of where your opponents can act and in a sense future proof your stake in the Lungs, for example, so that any ground gained isn’t immediately lost. Viral is very much a dudes on a map game without the fancy miniatures and the combat. 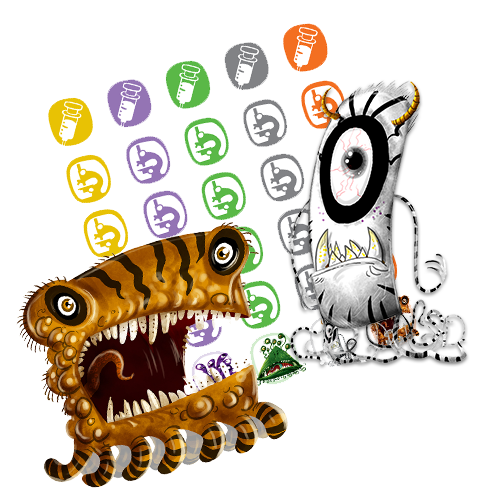 Not that you can’t attack other player’s viruses, certain Mutation cards permit precisely that, only it’s just a simple deterministic ‘I get to remove the virus of my choice from the a particular organ’. 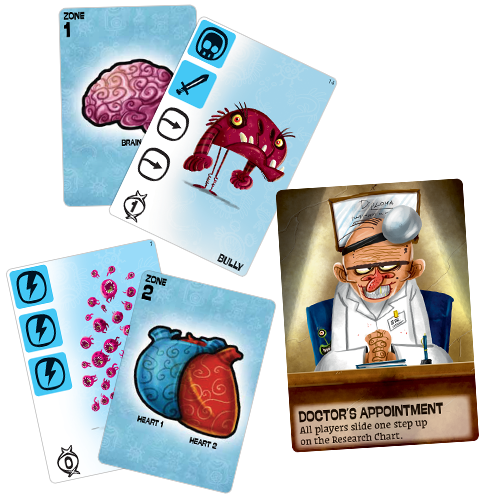 Other mutations certain cards may provide you are Absorbing (your virus absorbs all other viruses in that organ), Magnet (which allows you to push or pull viruses), Shielding (a one shot buffer against attack) and placing an organ in Crisis. A Crisis is also an event that happens organically (har har) should a certain number of viruses be present in a particular organ, and in either case this mimics the body fighting back against an infection and results in scoring VP but removing all viruses in that organ. This is a critical aspect of the game to get to grips with, as your virus tokens are limited and barring someone attacking your virus, one of only a few ways to get tokens back and score them at the same time. The other main way in which VPs are scored is during the Research step that occurs each round. When the game is set up, random tokens are assigned to each Zone which awards points to the player who controls a zone. Control only occurs if a player has viruses in every organ in a zone, and has the most viruses in that zone (I’ll get to ties in a sec). But again, things aren’t that simple. You don’t only scores VPs for control, you also move your matching token a number of steps up the Research table. If said token hits the fifth step in that table, researchers have found a cure for your brand of menacing virulence and you remove all your tokens from the board. Two last gameplay elements to summarise, and we can get to the good stuff. Each round also sees an Event card activated after your actions. These are 1 of 13 unique events that shake things up a tad, sometimes moving viruses around, sometimes removing them from the body while awarding points. And finally, the Tie-Breaker table, which is updated at the end of each round to reflect the scoring track, meaning that the person in last place will always win any Tie-Break. Yes, it’s a catch-up mechanic, but what I appreciate about it in this instance is that it does become a genuine tactical element. It’s not rubber-banding, and scoring is generally so close that the Tie-Breaker table becomes a natural part of the gameplay. I said earlier that Viral feels very much like a quirky dudes on a map game, and that’s not just because of the area control mechanic or the way that movement and deployment is handled – it’s also MEAN. Make no mistake, the artwork may convey a sense of fun, but this game is cutthroat. If you dislike watching your best laid plans fall to ruin, consider yourself warned. If someone earlier in play order acts in a way that changes your board state, you can easily have your turn roll around with none of the options you had just a few moments ago. Again, this is a positive or a negative depending on your preferences. If you enjoy having to keep an eye on your opponents and keep track of what cards have been played this won’t be an issue. But if you’re the type of player who prefers focusing on their own plans, prepare for disappointment. There’s a fair bit that works in Viral’s favour. It looks great on the table, the light-hearted approach to the subject matter widens the game’s appeal, the ease of play is very high given that player boards clearly explain iconography and the board makes it easy to track and identify the various steps in each round. Scoring is a tight affair so you never feel as if you’re out of the game and there’s enough heft to the mechanics and gameplay to please more serious gamers. But that’s also where Viral trips up for me. Whilst it’s not as complex as some of the area control greats, one gets the sense that Viral sees itself as more than just a lighter take on that mechanic. Sure, it’s easier to get to the table with a more social group than say Kemet, but Viral wants to be taken more seriously, and so I have to assess it in that light. And there are two major issues that weigh the game down for me. One is that Events deck, which is simply far too random and luck-driven, and in a game where two points can be the difference between victory and defeat, drawing an Events card that favours your position just because you happen to be in the kidneys seems counter-intuitive. I don’t mind the concept of the Events deck itself, but I’d have preferred an approach that just interfered with the game state in terms of relocating viruses, rather than certain cards that remove viruses from the board but award points for each virus removed in that way. Yes at least the Event is a known from the beginning of that round, but if you’re already in an advantageous position you avoid having to potentially ‘waste’ a turn attempting to avoid or take advantage of that event. And the other issue, and yes I’m potentially being unfair here because I haven’t played Viral a dozen times, but I can’t quite identify the underlying strategies. Games like Kemet or Inis may allow for multiple strategies, but those strategies are still identifiable. At any one point, it’s possible to assess the current state of the game and understand how your strategy needs to change to account for the coming rounds. The sense I got, as well as those who played Viral with me, was that no one was ever quite sure if they were playing the game well, or were simply just benefiting from the constant state of flux. Again, this is an issue that may change with more plays, but I mention it because with Kemet and Inis, your very first play already starts to teach you the difference between good strategy and poor play. That’s what makes me want to repeatedly play those games, because I feel as if I’m growing as a player. Viral just sits in that awkward space where if I’m in the mood for something lighter with a healthy dose of randomness and screwage I’d opt for Adrenaline, but if I want to sink my teeth into some strategy there are other games that hold a stronger appeal. Look, I know I’m being overly simplistic – of course you can’t win a game of Viral playing on autopilot and of course there is a decent level of strategy to be had – my point is simply that the feedback of your decisions didn’t feel meaty enough for my tastes. If I lost a virus as a result of an opponents attack, it didn’t feel more than a gentle bump in the road. Which is an odd thing to say, because your supply of tokens is limited. Having two tokens in a zone vs one can swing for or against you in the blink of an eye. I think perhaps the reason I never felt a sense of loss is more to do with the ease of being able to get back onto the board and into the game. This isn’t inherently a bad thing, but on the flip side it meant that whenever I attacked another player’s virus it never felt as if I’d accomplished much. Yes, I’d impacted the scoring of the game, but the thrill of seeing a well orchestrated plan come to fruition just wasn’t there. But that’s not to say that Viral doesn’t have its place. It’s quite unlike anything else and still possesses a solid design and a unique sense of play. It also does a lot with a box that doesn’t overflow with components, you don’t really have all that much at your disposal, and so every virus token feels super important. I also enjoy that the movement attempts to mimic the major arteries in terms of direction of bloodflow, which not only adds a thematic element but means that access to certain zones is limited. I also haven’t mentioned the additional Mutation cards which you can pick up at certain scoring intervals, which inject just a few ccs of asymmetry and provides more potent ways in which you can cause havoc. Viral has received favourable acclaim and featured on a great many best of 2017 lists. I surmise this is mainly because of the unusual theme which makes for a refreshing change from mythological creatures, as well as the game being a great entry point for area control novices. As I stated earlier, though my preferences may well lean toward higher complexity there remains much to admire in Viral. If you’re looking for an area control game with tight scoring and a low barrier of entry, where an inexperienced player will never feel out of contention and the quirky theme never gets old, perhaps you should consider skipping this year’s inoculation and get infected. 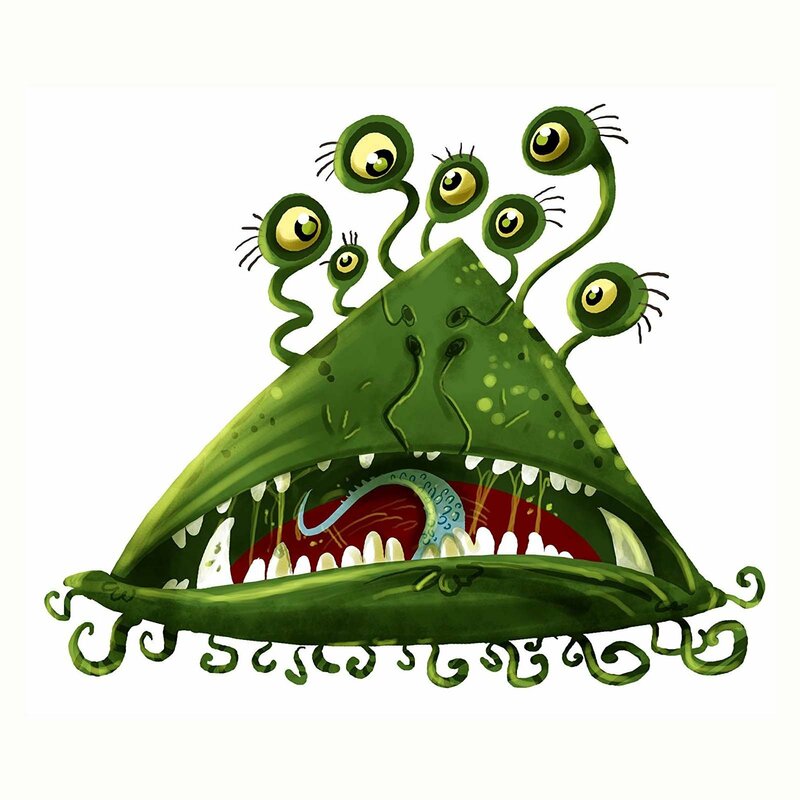 I can certainly identify why Viral has proved a popular entry into the Dice Tower Essentials range. Those who love area control but would like a new spin on the genre should definitely look into the game, but unfortunately I didn't find the decision making with as much bite as I would have liked, and the element of luck was a tad more heavy-handed than I'd have preferred. I walked away from Viral, sort of feeling something is missing, there is no “great Achievement” for winning the game, it felt the whole time that you can plan as much as you like you will get tripped up by event cards.